When is Placing Third Good? This last week, we at AudioCodes were pleased to announce that we had been ranked by Infonetics Research in their overall market analysis of the Enterprise Session Border Controller. While our share was a small 5%, putting us in third place and well behind Acme Packet and Cisco, we pondered what this meant and how to share the news with the market. After thinking about it for a while, I came to the conclusion that this was indeed good news. Being ranked third puts us on the podium, next to some good company and competition. Not unlike our initial entry into the Media Gateway market in 2002, you have to start somewhere. Back then, we were in a similar situation - staring at a huge market that was dominated by Cisco, Sonus and others that dwarfed our first year of $2M in gateway sales. Anyhow, we've got some unique differentiators and big plans for the future. One big differentiator is our hybrid architecture that combines media gateway technology along with E-SBC features allowing our customers to install one device and then develop a strategy that allows for a smooth and reduced-risk migration to SIP Trunking. Sharing not just technology and management tools, but our E-SBCs are also available through our existing distribution and reseller partners - making them easy for our customers to buy and install. 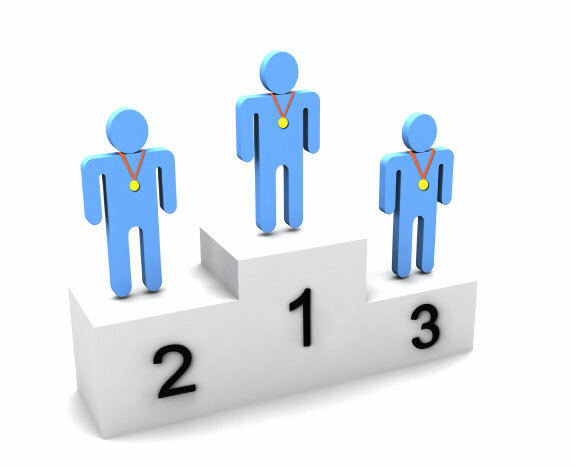 While we are starting out in third place on the podium may not sound as good as first, like in the Olympics, there are a plenty of other competitors wishing they were in our situation. Feedback for When is Placing Third Good?